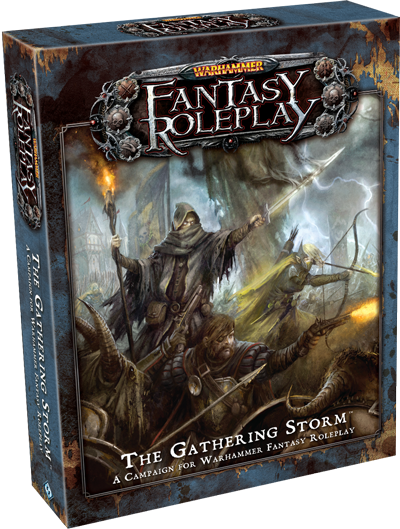 We are rebooting our Gathering Storm adventure with a brand new party and a new GM! Chris, who GM The Horror of Hugeldal and a few other adventures will guide us through the terrors of the Warhammer World. This episode is a casual discussion of gaming and character creation, including some back story, goofing off and gearing up. Look, Gitzmans elf is on the front of the box! Great episode guys. I thought for a moment we would have the comical party of Ogre, Halfling and Highelf. The party you guys came up with sounds very entertaining though, A stuck-up, a rough and tough, and a charmer will be a lot of fun to listen to, your part interactions are some of the best to listen too. I am also really looking forward to hearing some more cooperative party interactions for a change too. On another note it makes great listening when you talk about the choices your making while creating your characters, enjoyed it a lot this time. i feel it helps build the characters in the listeners mind. Have you thought of recording individual bits from each player talking about there particular character for a couple of minutes? this would be especially good once the back story’s have been thought through a little bit. thanks for the episode, looking forward to the campaign. I’ll agree with Richard’s comment above, hearing the character creation is fun, it helps to cement the ideas of the characters even if, as with mine, they wildly differ from that in actual play!